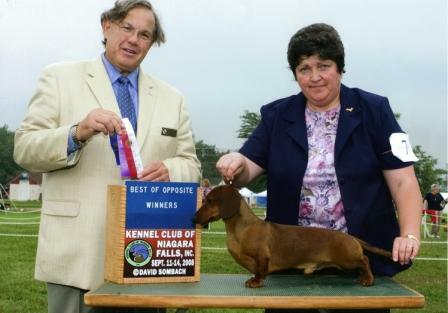 Pete came to us from Guy Jeavons & Mark McMillan of Moffat, Ontario, Canada from the world renowned GrandGables Kennel. Thank you Guy & Mark for this remarkable little guy who has taken over our house and our hearts. 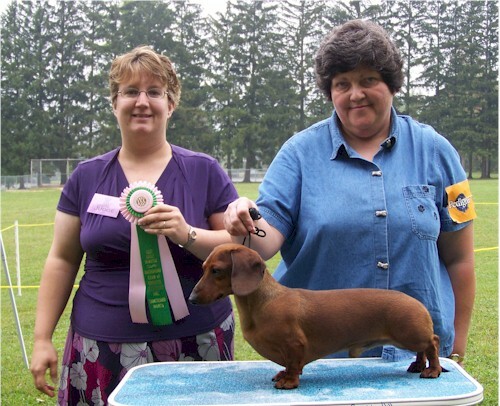 Petey was bred by Kathy Brancheau (MI,USA) He is sired by Ch. Grandgables Tricky Dicky-MS and dam is Packer's Ruby Red Dress-MS.